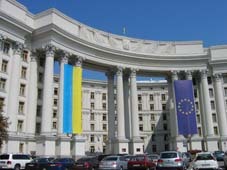 The Ukrainian Ministry of Foreign Affairs urged its citizens to refrain from visiting the Georgian breakaway regions of Abkhazia and South Ossetia in a statement published on August 20. Kiev announced that the Georgian law ‘On the Occupied Territories’ forbids foreign citizens from entering Abkhazia and South Ossetia via any border except the legal Georgian checkpoints. Those entering these regions from Russia are violating the Georgian criminal code. This announcement was made after two Ukrainian tourists were arrested in the Georgian town of Batumi after visiting breakaway Abakzhia. The tourists paid a GEL 5,000 (USD 3,000) fine for violating Georgian law. “A young Ukrainian couple spent their summer holidays in the Russian seaside town of Adler and then visited Abkhazia, which is just a couple of kilometres from Adler,” stated Ukrainian advocate Oleg Levitsky, as quoted by the UNIAN news agency. He noted that the Ukrainian tourists had Abkhazian stamps in their passports when they entered Georgia to continue their vacation, and said that if they refuse to pay their fine Georgian legislation stipulates they will be imprisoned for five years. Ukraine is not the first former Soviet republic to warn its citizens against travelling to the breakaway region. On July 22 the Government of Belarus reminded its citizens that “according to Georgian law movement on the territory of Abkhazia and South Ossetia is limited and is possible only with special permission from the Georgian authorities through checkpoints controlled by the central Georgian Government.” Minsk recommended that Belarus citizens “consider those regulations.” This statement was met with a sharp negative reaction from the Russian side. Russian Deputy Foreign Minister Grigory Karasin said that it was “illogical and not understandable.” Russia recognised the independence of Abakzhia and South Ossetia on August 26 2008, although this decision was condemned by the international community, the only country following its lead being Nicaragua. Another country to recommend to its citizens that they not enter Abkhazia and South Ossetia from Russia is Georgia’s neighbour Azerbaijan, which made a statement to the effect on July 24. The law ‘On the Occupied Territories’ was adopted by the Georgian Parliament soon after last August’s Russia-Georgian war, and declares that Abkhazia and South Ossetia are Russian-occupied territories and restricts any kind of international contact with these regions without the official permission of Tbilisi’s central authorities.